Noble white swans and amusing colourful parrots. Elegant wading birds and majestic sea eagles. The tiny hummingbird and the huge albatross. Get a closer look at birds from all over the world without having to use binoculars or see them in a cage. 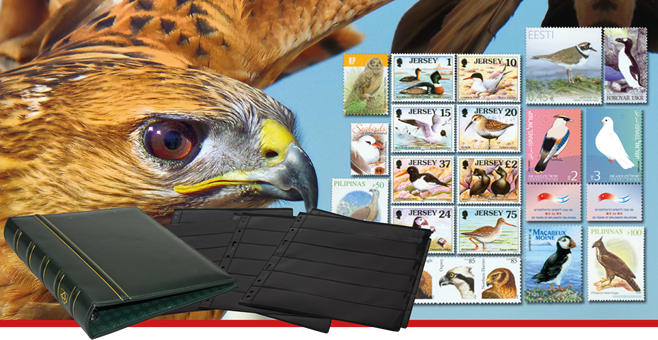 Approximately once a month you will receive hand selected stamps with birds for around 100 DKK.